Each show is a journey and learning experience with challenges that push me to embrace my skills and trade. As the song goes, “Started from the bottom now we’re here,” I realize this is much more than hitting the red button, pan, tilt, and invoice. This is an art form and science, knowing what the lens does, the degree of the angle, the speed, the light, what types of light, color temp, reflective versus non-reflective, skin tones (which is HUGE if you don’t know how to light for that). Experienced in all formats of media from 8mm to card-based; but, that wasn’t the half of it. I had much to learn, not only about skill, but about myself as well. I’ve been fortunate enough to work with some of the best in my area and beyond. All, or at most, I’ve had my share of mistakes along the way. Executing something unsafely just to get that next job and not saying, “No.” Experience is knowledge—knowledge is knowing better and passing it forward, which goes back to experience. Basic but essential. 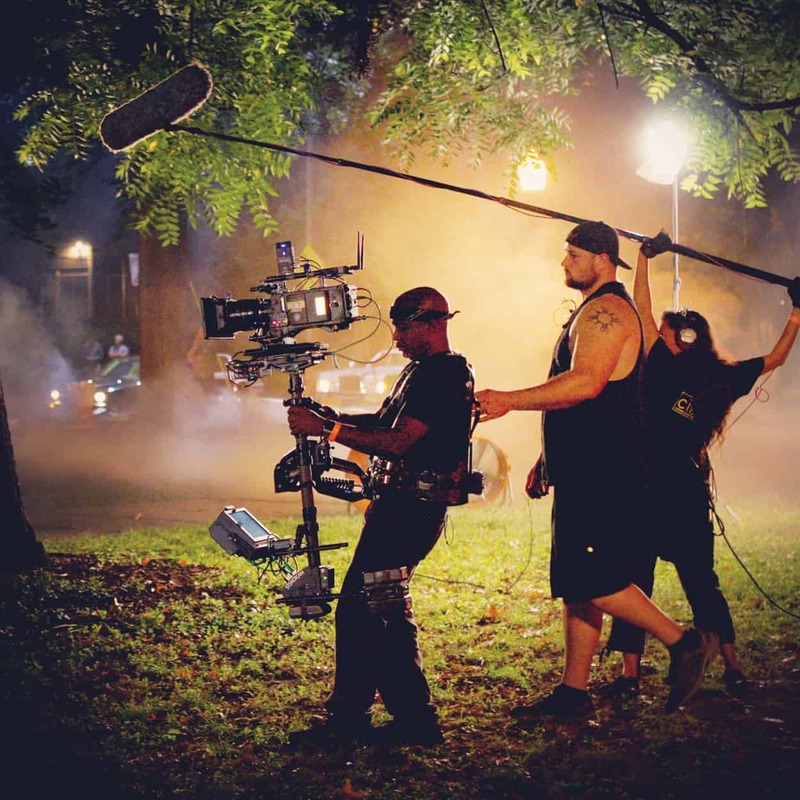 With operating, you must anticipate the action of events, whether it’s in studio mode, hand-held or Steadicam, to get the dance and rhythm down. That’s when the frame comes to life—there, within the struggle, chaos, the intensity and conflict. Interpreting the shot as well as the actor giving his or her performance and making the camera an additional character as well. These are just some of the things I see and take into consideration when operating, and the motion behind it. Internalizing–feeling the moment by instinct. This can’t be taught…you must know. Working next to a legend, DP Dean Cundey, ASC for Anastasia. The one thing I’ve been asked is how to get where I am…I say “relationships.” Just like any career, your attitude towards any job description makes those who you to want work with again to those you’d rather not. The people and crews I’ve worked with before, and others I meet for the first time. I like forming relationships, not only for this common thread, but as a person individually. A majority of my production family are very good friends of mine to this day. Having great communication and relationships is key along with being open to learn and listening. One of my very first shows was as an intern/2nd AC. 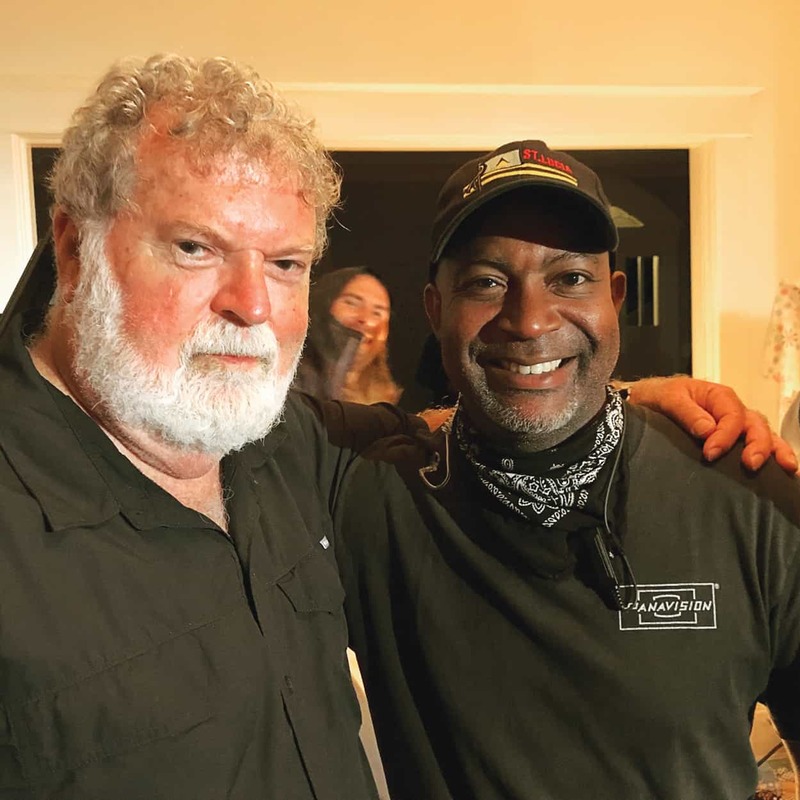 A very good friend, and colleague, Jeff Barklege, SOC, was DP for a Movie of the Week (MOW) and grasped the ins and outs of the Camera Department. Learn while doing. He brought down a Steadicam Operator from Chicago named Bill Nielsen. As soon as I saw his rig I said, “That’s it!! I want to be that guy!” I was hooked! From that moment on, I knew what I wanted to do. I began reading and researching. What’s a Steadicam? How and why does it work? Then discovered there were no Steadicam operators locally. I asked Jeff if he knew any operators besides Bill that I could talk to. He suggested a good friend of his, Janice Arthur, from Cincinnati, Ohio who had moved to Chicago. A trailblazer in her own right being one of the first female operators. I reached out and befriended her, and was shown how to properly operate, and what separates a ‘good’ operator from a ‘great’ one. From that day forth we are still great friends. Relationships. Knowing there were no rental houses that would have Steadicam equipment, I invested in myself, purchased one, and never looked back. I invested in myself. Being in the drum-line from high school to college, and drum and bugle corps, wearing a vest was natural to me. Lowering my C.G. (center of gravity), crab-stepping when changing directions, heel-toe when going forward, and on my toes when going backwards. It was second nature maneuvering around when ‘dancing’ around the area. Throughout my path, I’ve met and worked with some world-class people, and have been to places I couldn’t have imagined, but nothing like what I was about to experience. I was working on a show in Lexington, Kentucky, and another show was in prep in Louisville, Kentucky and looking for another operator. I submitted for it. The DP was coming from Los Angeles and signed off on me before I knew who he was. One of the top 100 cinematographers of all time, Dean Cundey, ASC, and honorary SOC member. I grew up watching his movies-the original Halloween, where he was also a Steadicam operator and Panaglide at the time. His credits include; Escape from New York, the Back to the Future trilogy, Who Framed Roger Rabbit, and Jurassic Park…just to name a few. Knowing this, I would be working beside him on this show called Anastasia. Our camaraderie and trust were established and built when I was asked to orchestrate the moves of the actors. I have a technique that I like to use when I challenge myself and gauge the difficulty of the work. I use golf terms. A par 3 to par 5 when it comes to the sled. Needless to say, I stayed under par with a few bogey’s. It’s fun for me. The days were made, and I felt very accomplished, but modest and humble. Relationships were formed yet again. 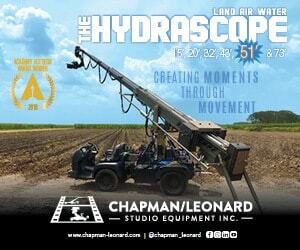 The director, Blake Harris, and Mr. Cundey were very pleased with my work and collaborations as B camera/Steadicam. The Talented Tenth is an essay that was written by William Edward Burghart (W.E.B.) DuBois in 1903. An African American, socialist, historian, and civil rights activist. What The Talented Tenth is, was those from the African American communities would leave, educate themselves in a specific technical or industrial skill, return to their communities, educate and orchestrate what was taught to the next generation, and pass forward the knowledge and skills, and repeat the process in those skillsets. All the blood, sweat, and many tears along my career, I’ve kept many things to myself; but, observed privately the diversity aspect of it, or the lack thereof. Being aware of this, I’ve witnessed first-hand the steps in correcting this in the past decade in all aspects including camera. More people of color and women behind the lens and supporting departments. The only time I’ve seen this was on a show I happened to day play on, and the entire camera department were women of different ethnicities. It made me smile to see how far we’ve come. As amazing as this was, I look upon myself, usually being the only African American in the camera department, if not the only, a few in the company. I have mixed feelings on this. One being, “Why don’t I see more people of color on these shows?” Which saddens me, but I’ve known this for a while. But, there comes a time where being in the position that I’m in, gives exposure for those looking from the outside in from my peers and on location. There was a moment I’ll never forget. I was B camera/Steadicam on a movie called Chain of Command. We were on break and I happened to look over and there was a young African American couple and their son, who was about 6 years old at the time. I saw his face in total awe and I decided to walk over to talk to the couple and their son. I invited them over to set and I could see on this little man’s face, the fascination he had with the camera. I asked him if he wanted to see what I see, and he shouted “Yes!” with enthusiasm as if he could just explode from excitement. His parents nodded their okay and sat him with me on the dolly. I told and showed him what panning and tilting was, and he held my hand tightly. I knew right then and there, I made a difference in this young man’s life. Seeing someone who looked like him, doing what I’m doing. We took a picture together and the smile on his face just warmed the heart and made it swell. His parents asked what part of California I was from and I told them I was not, but hailed from Hamilton, Ohio where the film was being shot. Even though he may not remember my name, I could tell I made a difference with him. I feel, I’ve been charged with a great, but rewarding responsibility to those who have come before me which helped pave the way. The late, but great Gordon Parks, Bill Dill, ASC, Johnny Simmons, ASC, Ernest Dickerson, ASC, Kirk Gardner, Jessie Maple, the first African American Woman to join ICG, Local 600, with the classification of operator. Not to mention those I look up to on being a trailblazer such as Bradford Young, ASC, Rachel Morrison, ASC, Alfeo Dixon, SOC, Quenell Jones, SOC, Jessica Lopez, SOC, and Alan Caso, ASC, addressing the elephant in the room, for his bold speech at the 2018 ASC Awards acknowledging the lack of diversity not only in the camera department, but in the industry as a whole. In my eyes, I am honored, proud, and blessed to be in the company with those I admire and stand together with as an operator. Paying it forward on what I’ve learned to the next generation. I am one of the many, one of the very few, but one of the proud…The Talented Tenth. 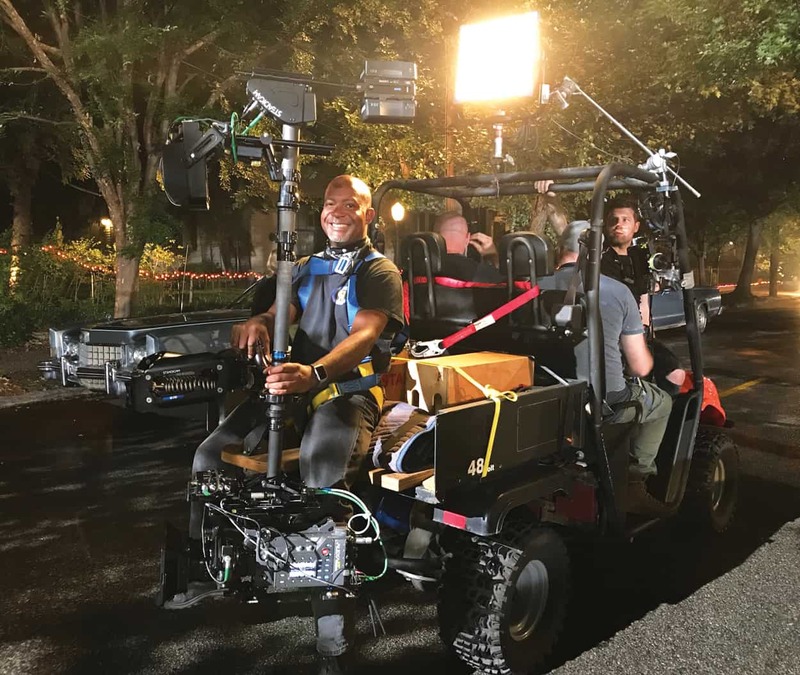 Nikk Hearn-Sutton, SOC began his career as a camera/Steadicam operator by complete accident but, it became a life changing back in 1998. 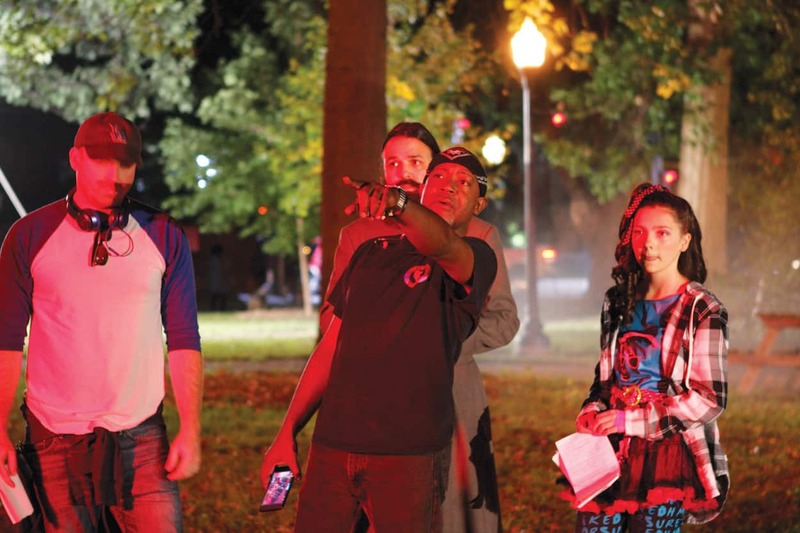 While attending an A/V school in Cincinnati, Ohio for radio broadcasting and TV he heard about a movie to be shot in the area within the year. Asked if he would be interested and he agreed. His love was in the Camera Department, and having no prior experience, came in as a camera intern/2nd AC. Being within proximity of camera always. From there he met many local camera operators, DP’s, 1sts and 2nds and began to hone his skills. Training came from doing, reading and asking questions. Then he met Bill Nielsen, a Steadicam Op out of Chicago, and Nikk knew right then and there what he wanted to do as a career. Nikk Hearn-Sutton’s notable credits include: Anastasia: Once Upon a Time, The Strangers: Prey at Night, The Haunt, Chain of Command, and Wicked Mom’s Club.